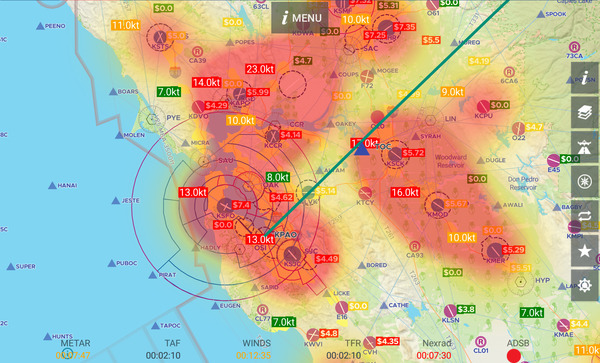 AvNav 4.5 - OpenStreet Map Meets FAA, All New Heatmaps! AvNav 4.5 continues to build on the solid foundation of AvNav 4. Our vectors maps are now so detailed and realistic, you can say goodbye to rasters! A Complete Vector Map - Say Goodbye to Rasters! 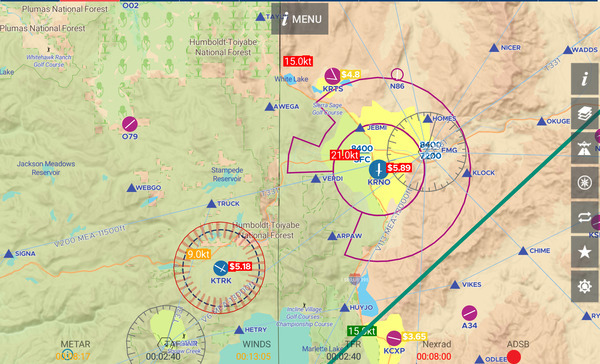 AvNav 4.5 includes flicker free crash proof vector map that simply dazzles. Included are new layers such as detailed water, residential areas, golf courses, stadiums, grasslands, sandy beaches, national parks, mountain peaks, and highways. Goal is to improve situational awareness and increase options for landing in case of an emergency. Flying is not fun when you are worrying where to land if engine were to quit. 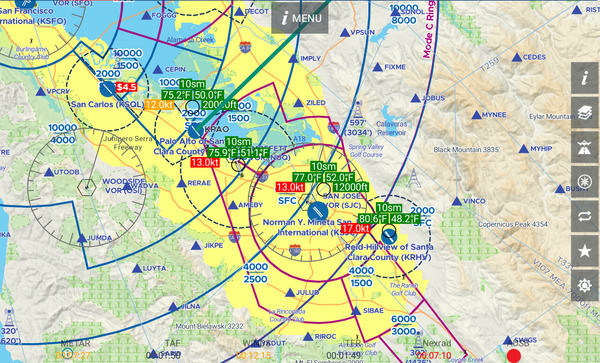 We also improved mapping of FAA data (Airspaces, SUA/MOA, TFRs, Navaids, Obstacles, Airways and Waypoints). Class E and mode C rings are shown on the map page - AvNav is perhaps the only major app to do both today. 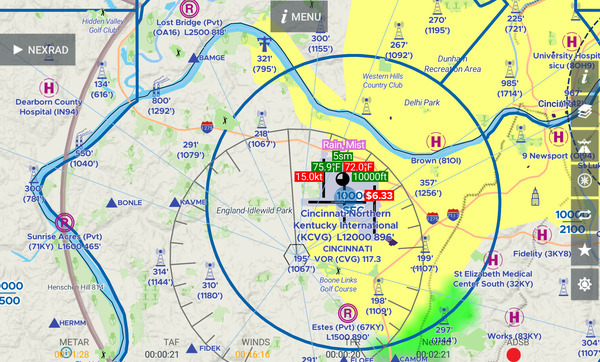 Combined with Weather overlays such as METARs, Airmets/Sigments and Pireps - the amount of detail included in our vector maps is unprecedented for an aviation app. New Heatmap layer - another first for an Aviation app Anywhere (Android or iOS) ! Metars can now be visualized as Heatmaps. Simply select the new Heatmap checkbox on Layer tool. 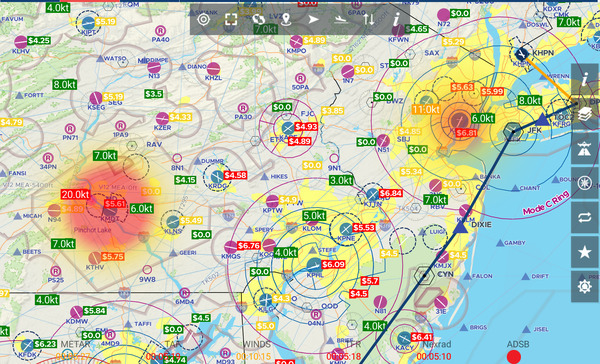 Heatmaps are very informative in visualizing trouble-spots with poor conditions such as IFR or high winds. 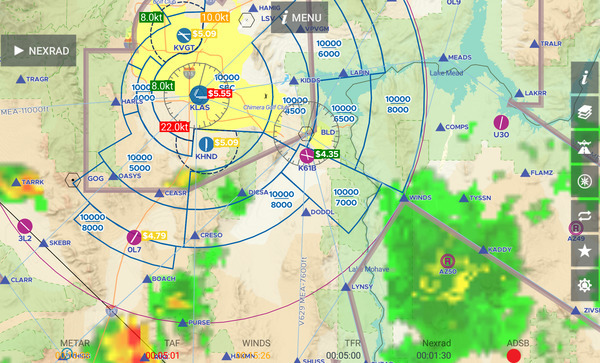 We think it's better way to visualize METAR than anything before. Our users love that we include state of the art features ahead of pricey iOS Apps - proving again that Android users are second to none and deserve the best. AvNav now uses less memory and runs faster than before. We moved most data from memory to an all new spatial database meaning you can run AvNav on devices with as little as 1 GB RAM. You can see sunset and sunrise times at all airports in the world with no additional memory overhead. And Metars and other weather overlays are downloaded incrementally - providing faster update with less bandwidth usage. We made some major changes here again. Downloads should be faster and more reliable than before. You can now restrict large downloads to WIFI to avoid large cellular bills. Fix for the bug that caused downloads to be re-queued on restart - is included. AvNav 4 was a big release. Unfortunately it had issues inevitable for a release of that size. We have fixed most of these issues in AvNv 4.5. Map layers are now always in same predictable order - as you toggle various features on and off. We worked hard to eliminate flicker and improve performance. We think you will find this version of AvNav the most stable and bug free version as yet.